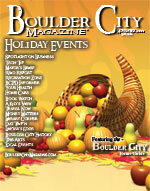 The social media chatter is amongst many of us as we live, work, or merely visit Boulder City. Throughout all of this chatter we find ourselves, as a police department, asking, “What role should law enforcement have with social media?” Throughout the last year or so Chief Finn and I have heard about social networks and observed the pros and cons of law enforcement and social networking on websites such as Twitter and Facebook. With little hesitation and much anticipation the police department went live on Facebook and Twitter the first week of October. Our Twitter site is BCPDNV or you simply search for Boulder City Police Department. We are finding value in tracking other entities such as Clark County and the Las Vegas Metropolitan Police Department. We look forward to adding other followers in the near future  agencies such as the CDC which can provide us with ongoing information about H1N1 as well as other infectious diseases which fall within their purview. The advantages of participating in the social media realm far out-weighed continuing to pretend it is not of value. The Police Department remodel is winding down and soon we will have our building back  free from construction debris and strangers walking the halls, and we will be free of our port-a-potty on California Ave. It is imperative that we thank a few people for all of their hard work. Shane Cunningham met with contactors daily to ensure the project was moving along as planned. Scott Hansen and Jim Keane provided additional oversight as the project grew in complexity. Of course the project would not have even happened were it not for the support of City Manager Vicki Mayes and our Council members. 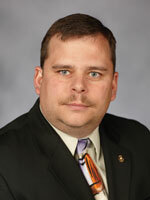 Brok Armantrout was also instrumental through his work with the RDA, which provided some of the funding. This coordinated effort paid off with the completion of a nice place for our staff to work  a place you can be proud of. Lastly, we are coming upon the holiday season. From all of us at the Police Department, we wish you and your family a Happy Thanksgiving. Please drive carefully and remember to NOT drink and drive. Until next month, stay safe. John Chase can be reached via his e-mail address at Jchase@bcnv.org.